The Philippines could become an “upper middle-income country” by the end of 2019, the country’s socioeconomic planning agency has said. According to a report released by the National Economic and Development Authority (NEDA) today (Tuesday, April 3), the country could hit an average income of $4,000 — earlier than the initial target of 2022. The country’s strong economic growth last year enabled the Philippines to achieve a gross national income (GNI) per capita growth rate of 4.8 per cent, higher than the target of 4.5 per cent, NEDA said. In a press conference, NEDA Undersecretary of Policy and Planning Rosemarie Edillon said President Duterte’s plan to spend more than eight trillion pesos on infrastructure would “really propel our economic growth even faster”. “The implication for that is it means that our vision of being a high-income country by 2040 is really within reach,” she added. At present, the Philippines is a lower middle income country with a GNI per capita of between $1,006 and $3,955. High income countries are those with a GNI per capita of $12,236 or more. The country’s gross domestic product — the value of all finished goods and services produced in the country — grew 6.7 per cent last year, slower than 2016’s 6.9 per cent but still within the government’s 6.5-7.5 per cent target range. Yesterday, Moody’s Investors Service said the economy — which has been expanding above six per cent while the peso is weakening — is far from overheating. 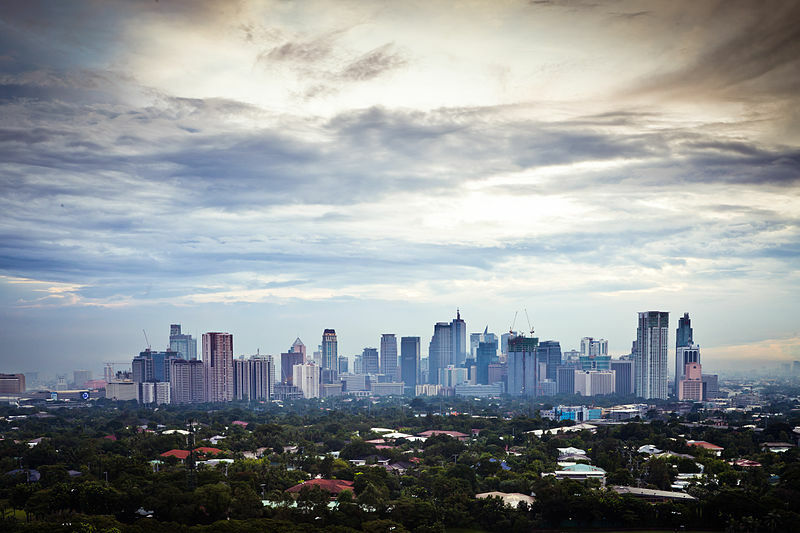 Separately, analysts at First Metro Investment Corp. and the University of Asia and the Pacific said a construction boom, among others, likely helped the economy grow more than seven per cent in the first quarter of this year. Despite NEDA’s optimistic outlook on the economy, Ms Edillon cautioned that ensuring growth was inclusive remained a challenge. Government data also shows that the unemployment rate was at 5.7 per cent last year, higher than the 5.5 per cent of 2016 and above the 5.1-5.4 per cent annual target. Youth unemployment last year was 14.4 per cent, short of the 11 per cent goal. “Employment creation remains a challenge as there were around 663,243 net employment losses in 2017, far from the target of increasing employment by 900,000 to 1.1 million per year,” NEDA said in its report.